Would YOU Join a Feldman Protocol in San Diego? Ben Bikman, Doug Reynolds, and I are exploring an idea I’m calling Project Groundswell. 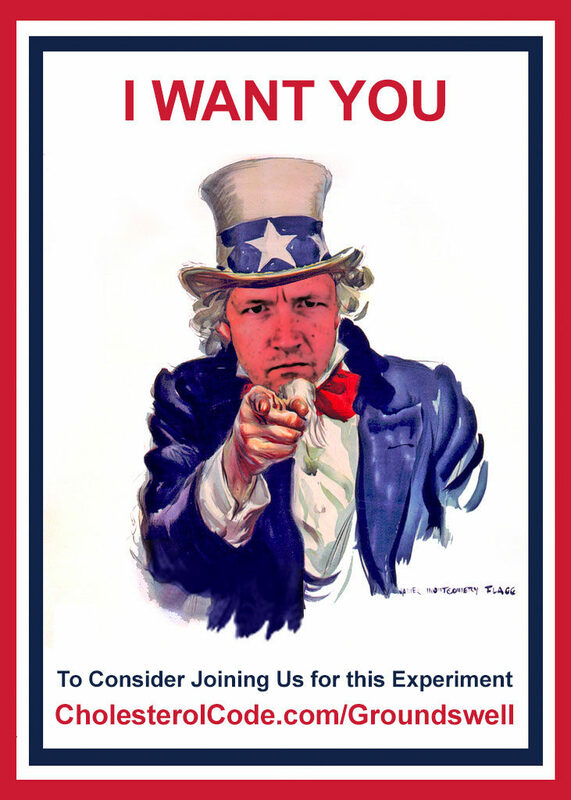 We’re considering an experiment that would be held at Low Carb USA in San Diego this July 25-28. We’d have many of those attending the conference participate in the Feldman Protocol for a study by Bikman and his team. And we’re incredibly fortunate that Doug and his conference will be sponsoring this project if enough people are interested. Participants would register for the experiment through the Low Carb USA website. On Thursday morning, the 25th, they’d get an advanced blood test. This will likely include a lipid panel, insulin, glucagon, Lp(a), GGT, Ferritin, and many others. On Sunday morning, the 28th, participants will get a second blood test to capture lipids, insulin and glucagon. And that’s the experiment in a nutshell. The data collected will be anonymized to the research team, but you’ll be able to retrieve your own bloodwork through a unique ID provided to you during the experiment. If you were to register today, whether for the Basic ($499) or VIP ticket ($724) — there would be no extra charge. If you already got better than today’s pricing, you’d need to make up the difference to reach at least $499. IMPORTANT — this is not official yet. We need to first gauge the REAL INTEREST out there for those who would be serious about joining this experiment were it offered. This is a trial balloon. So please respond only if YOU are serious and would commit to this if it were offered. Comment down below or use the hashtag, #InForGroundswell on social media. We’ll try to decide over the next week based on the response.